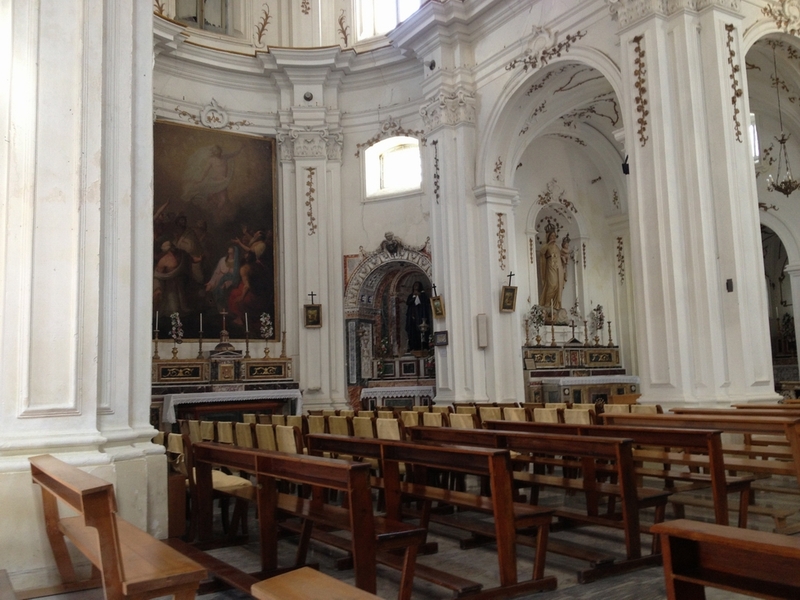 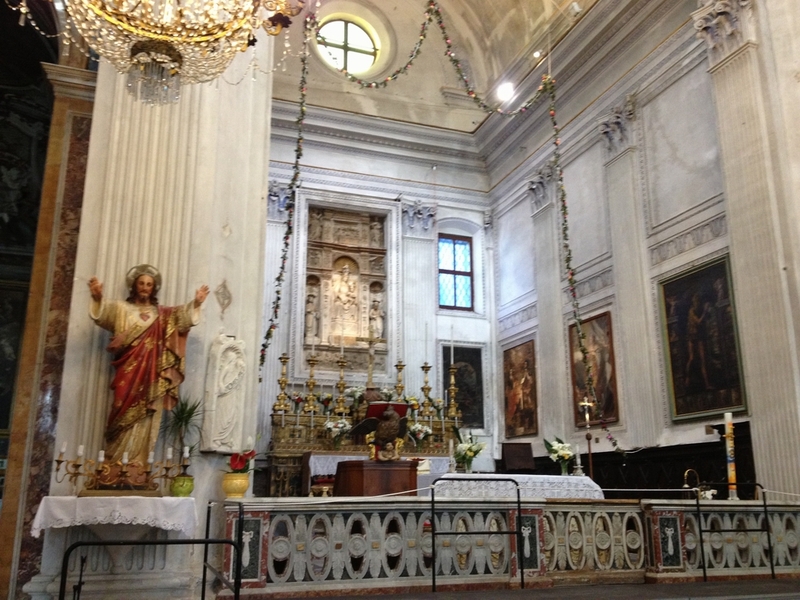 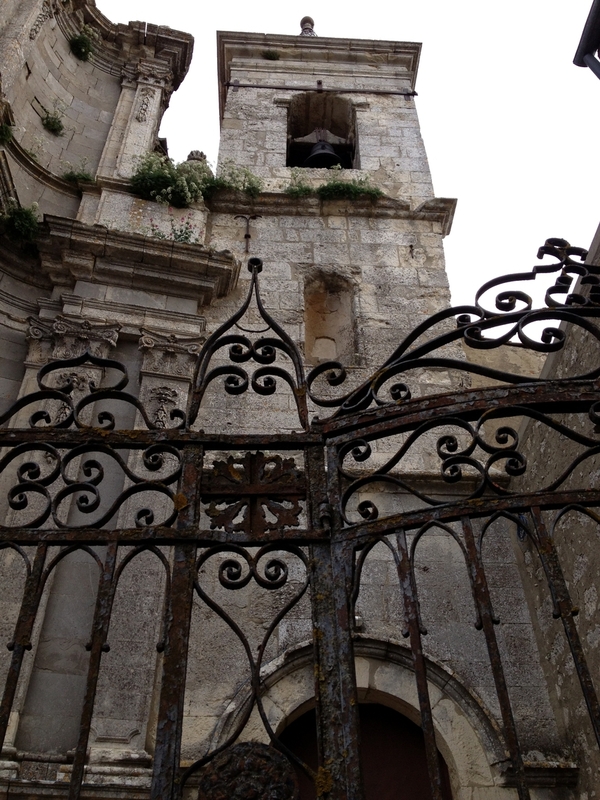 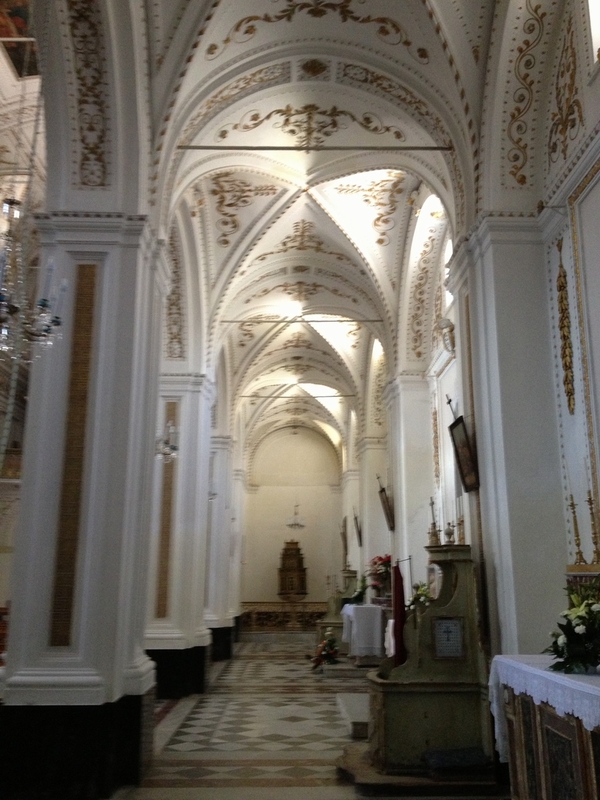 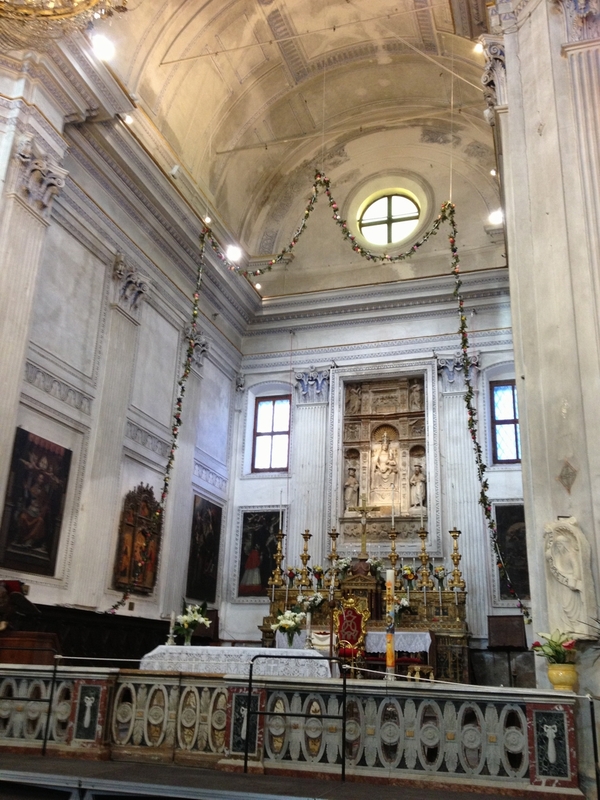 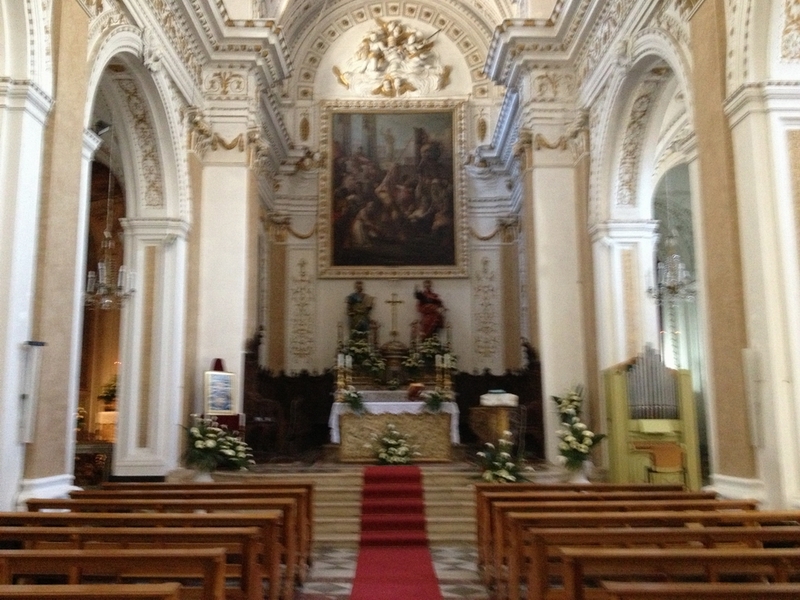 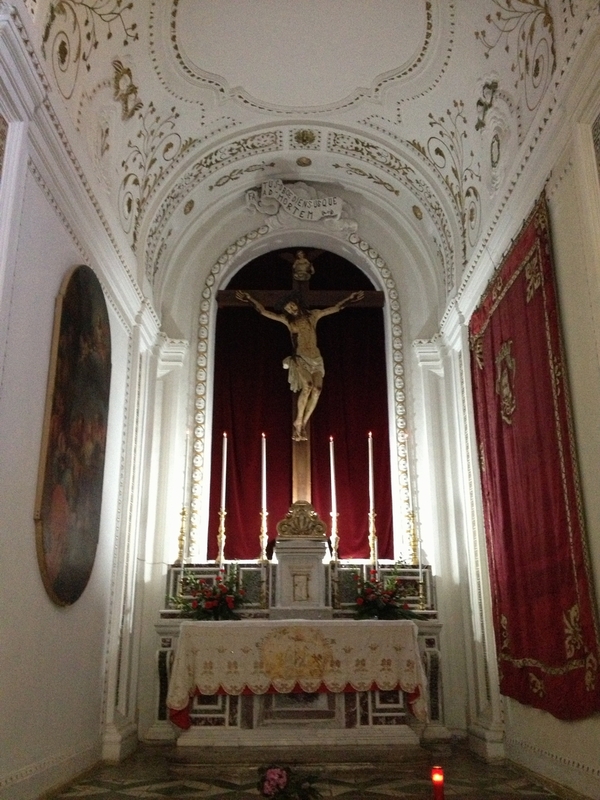 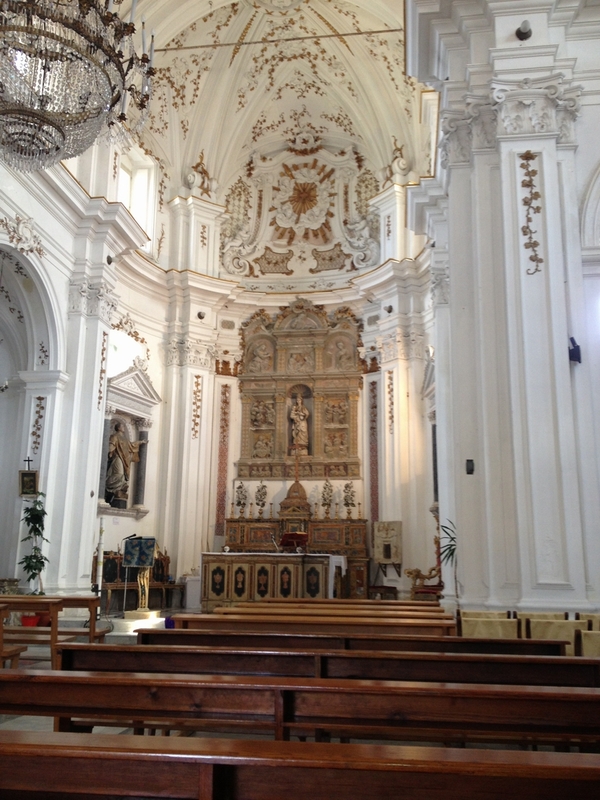 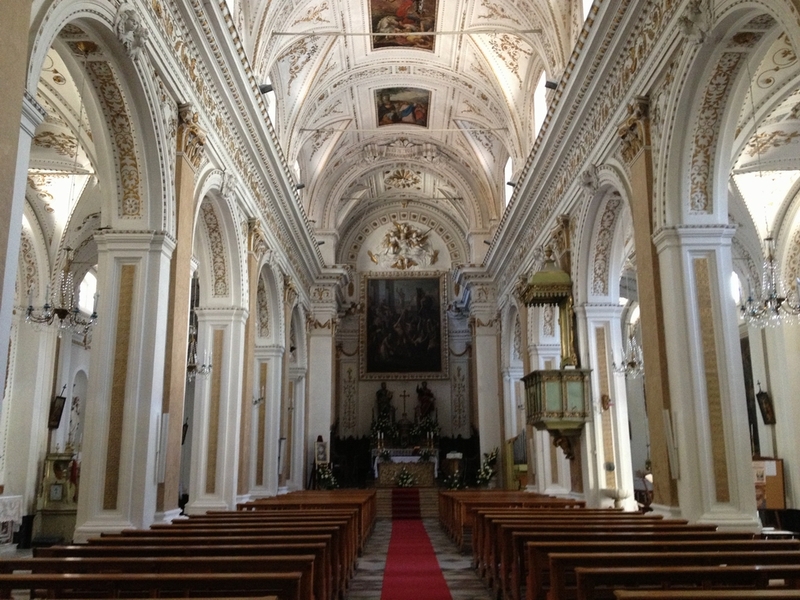 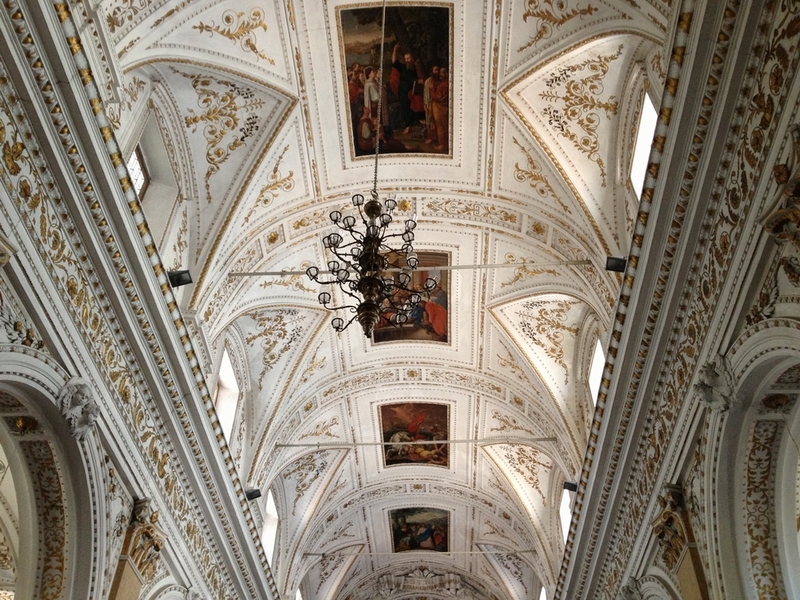 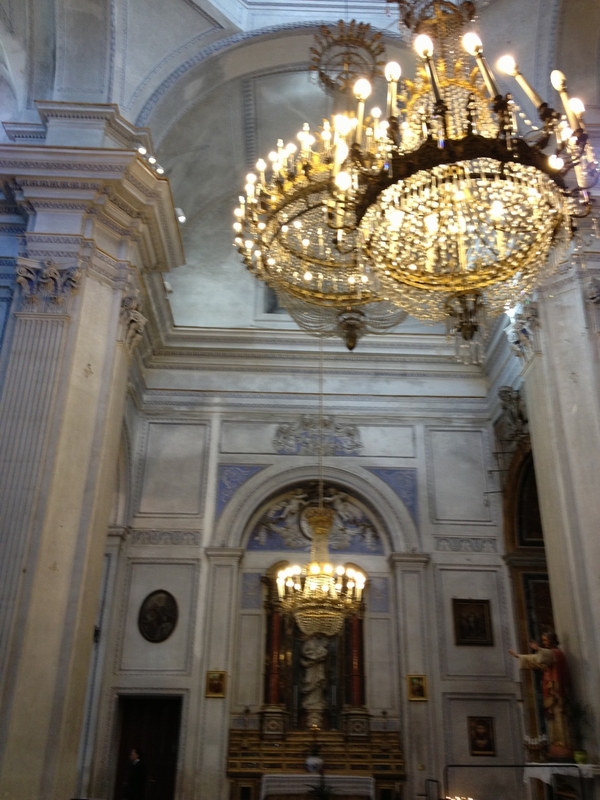 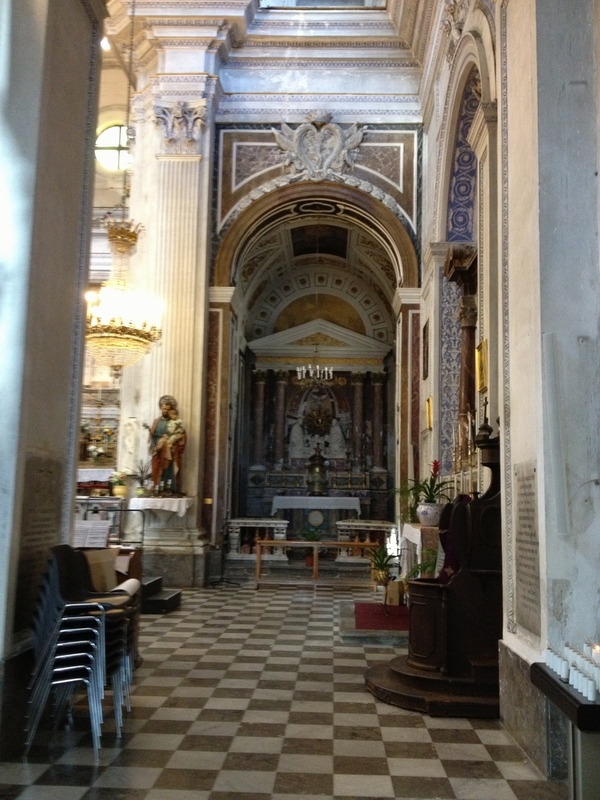 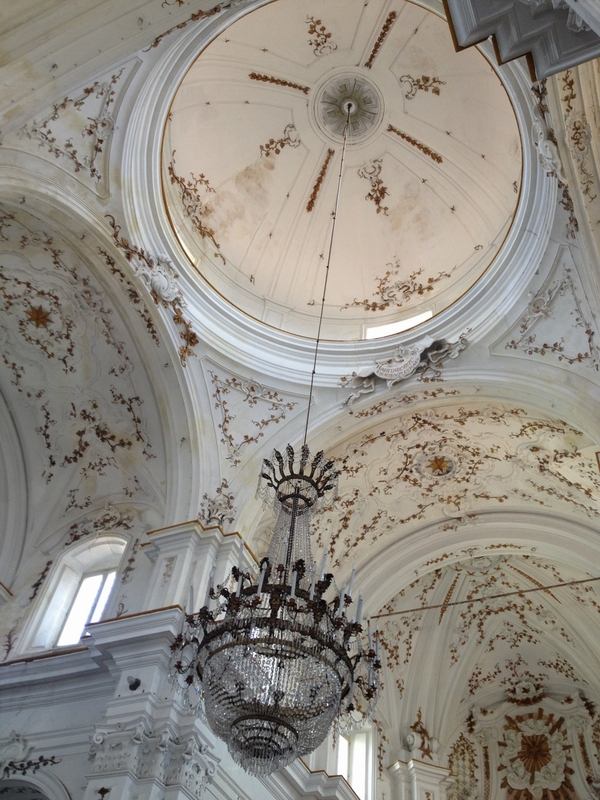 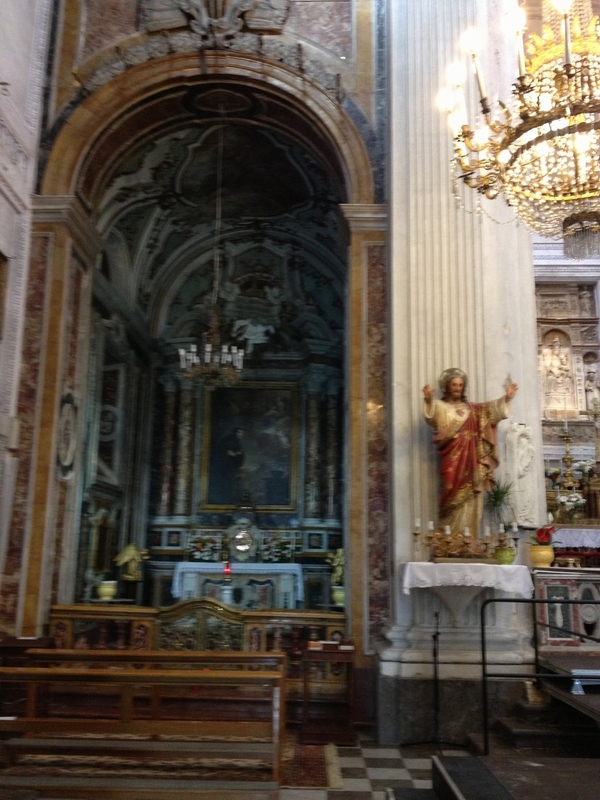 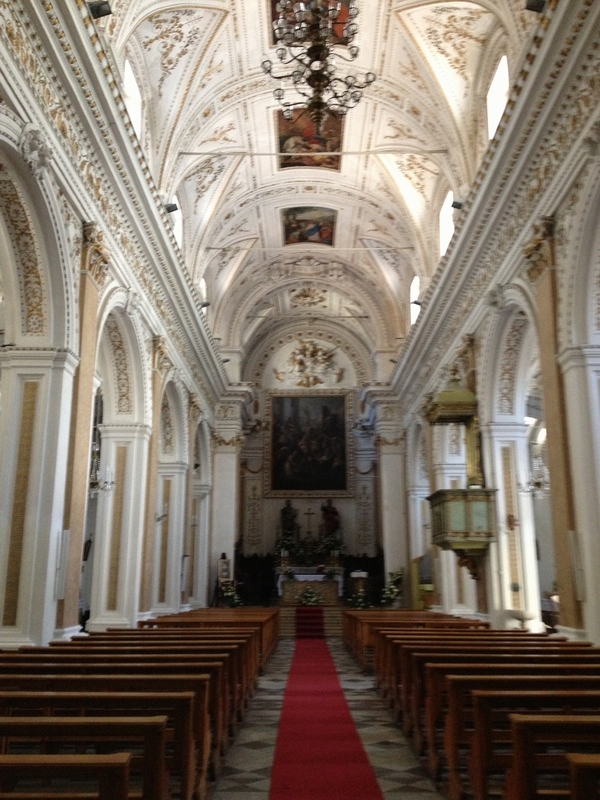 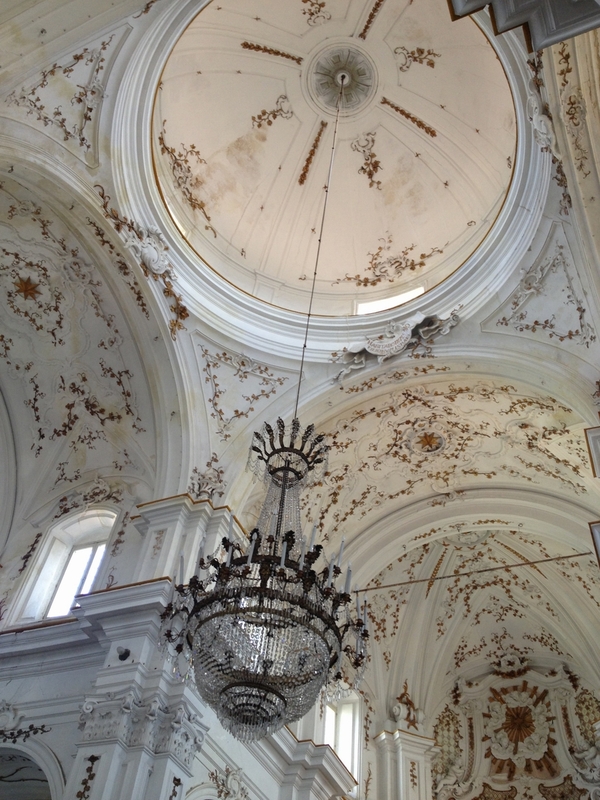 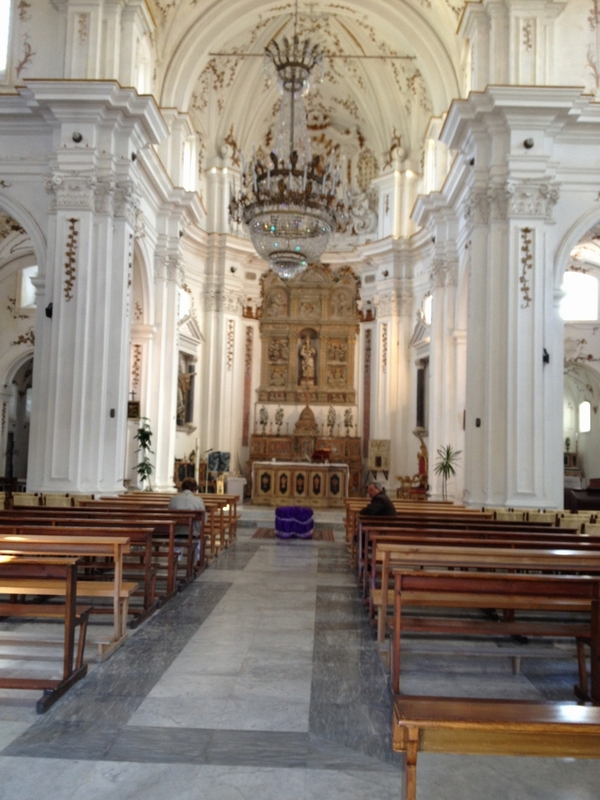 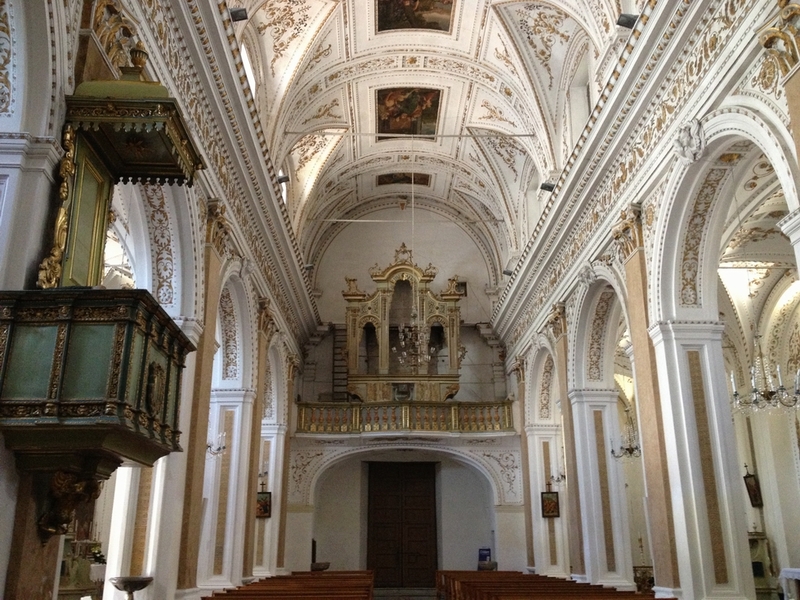 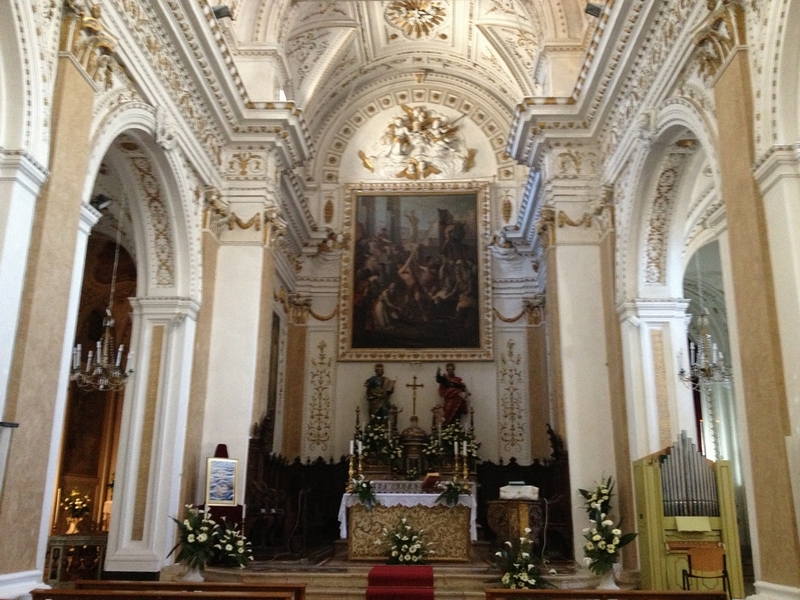 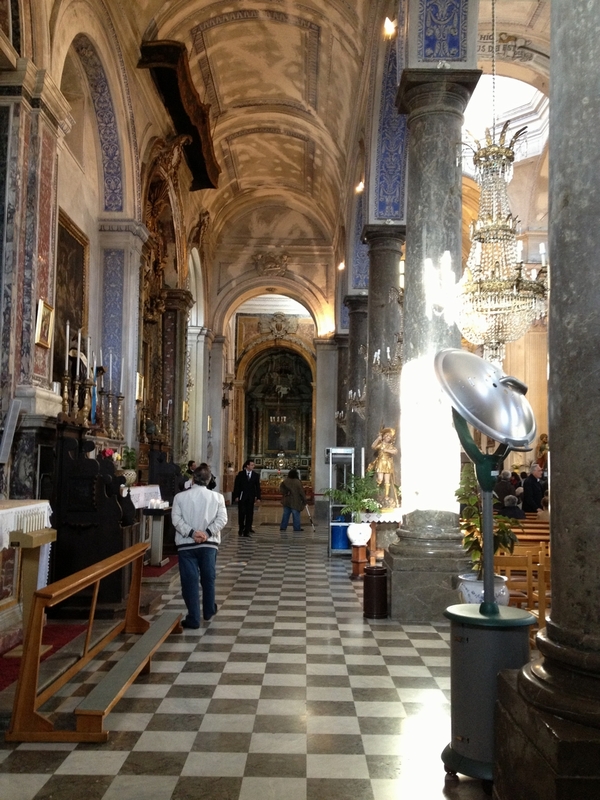 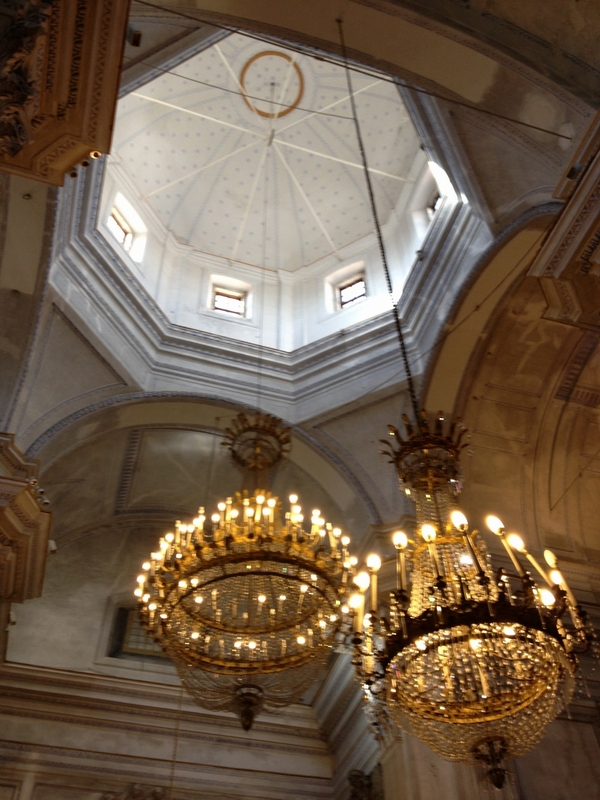 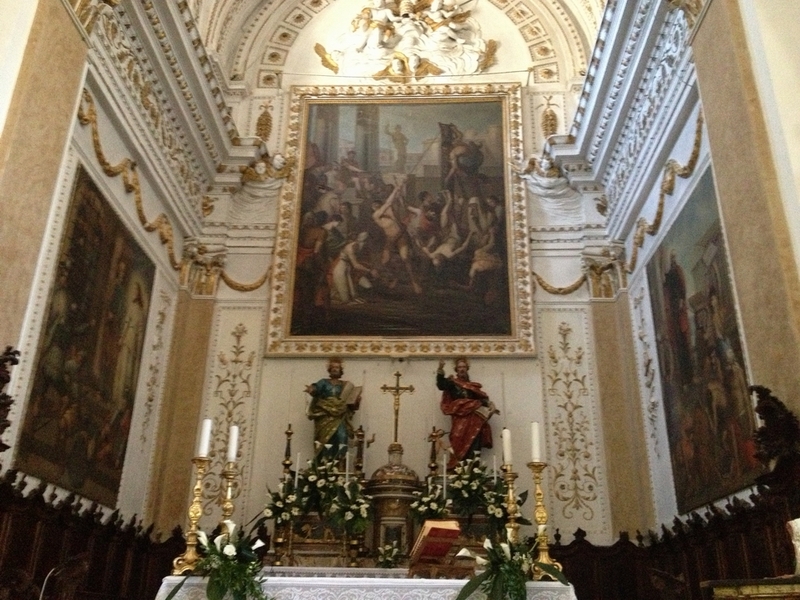 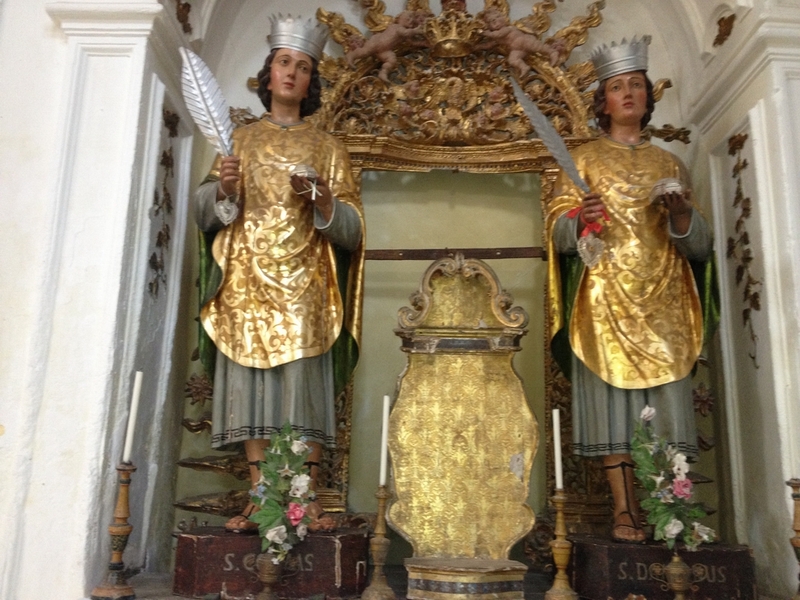 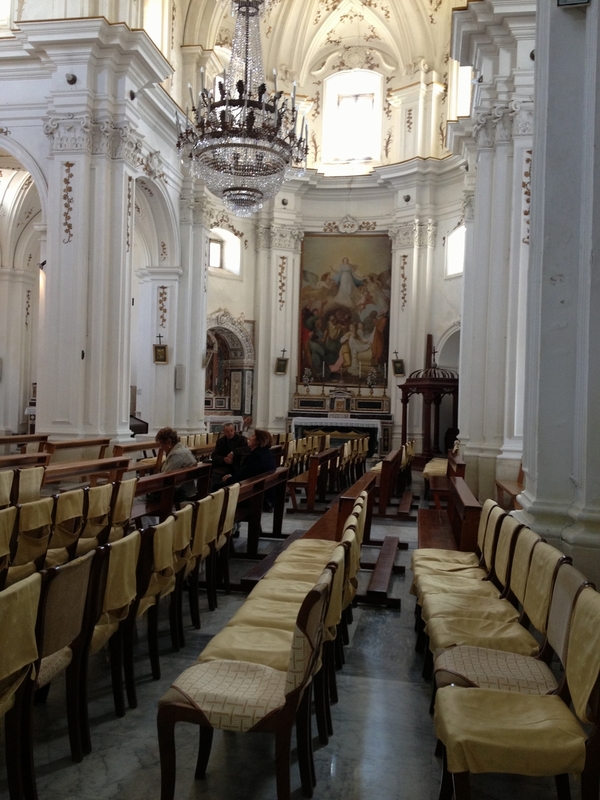 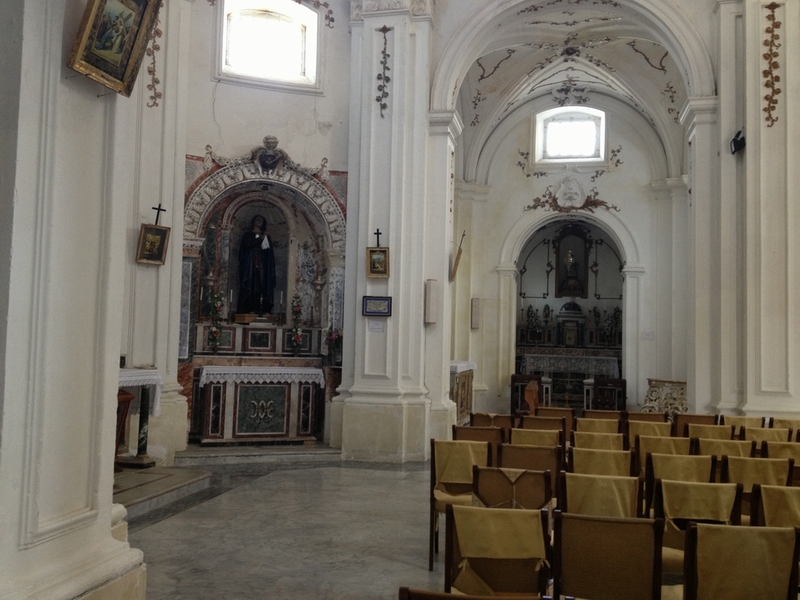 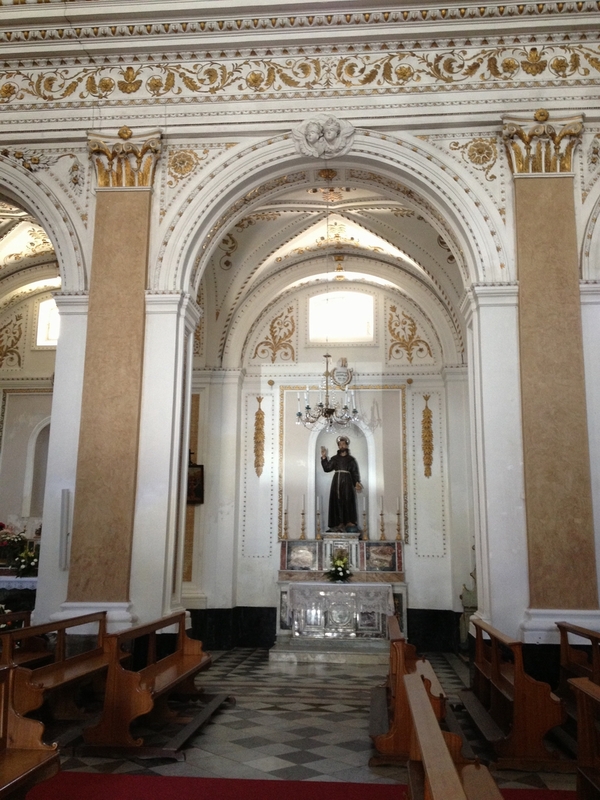 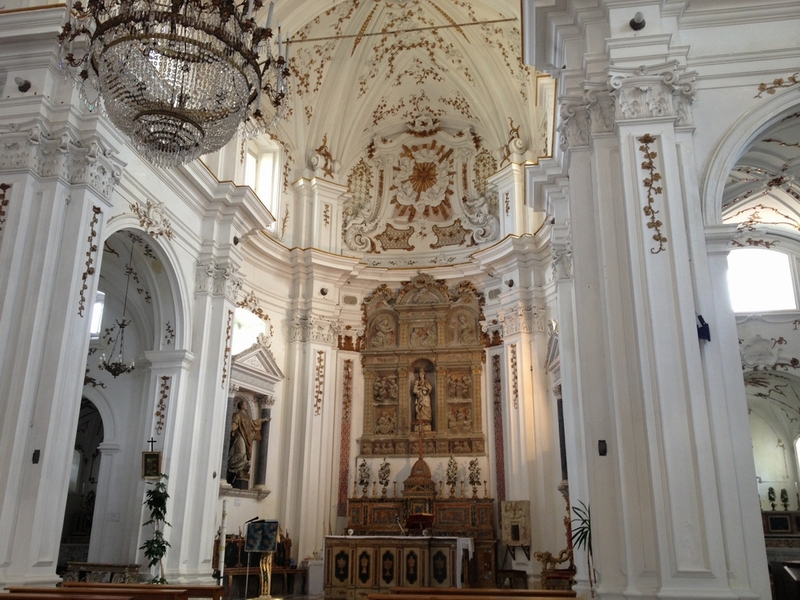 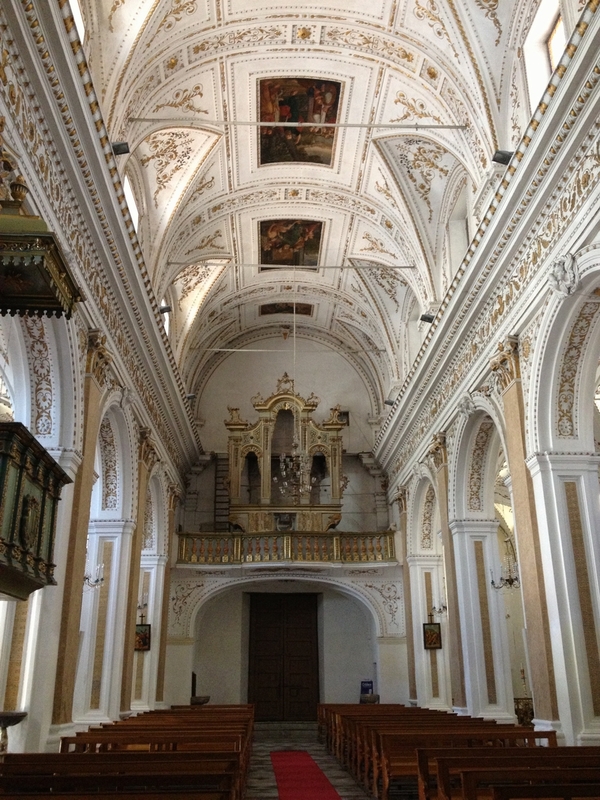 This church was rebuilt in 1750 with a plan of a Greek cross and facade baroque sculptures by Serpotta. 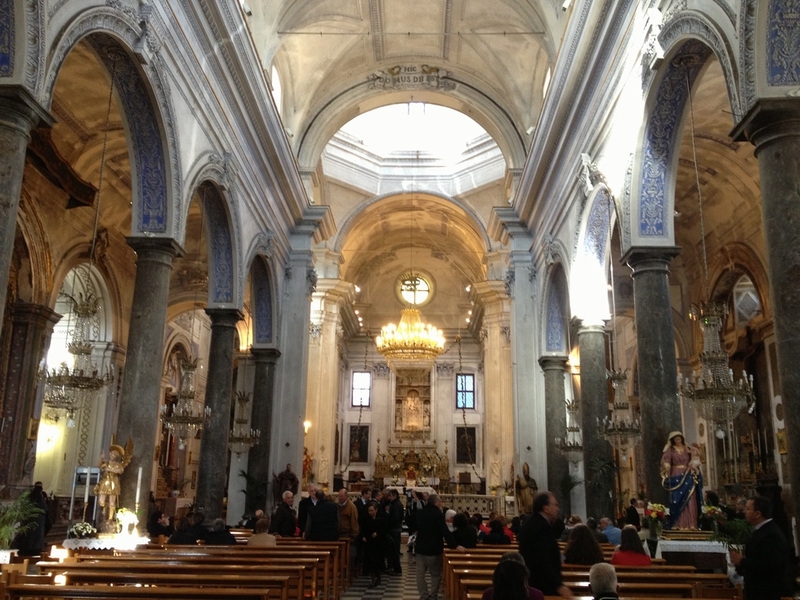 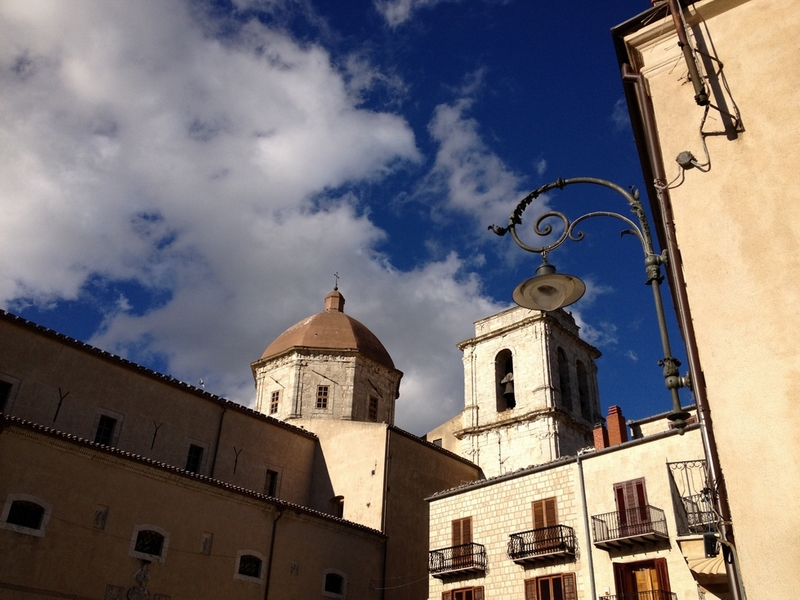 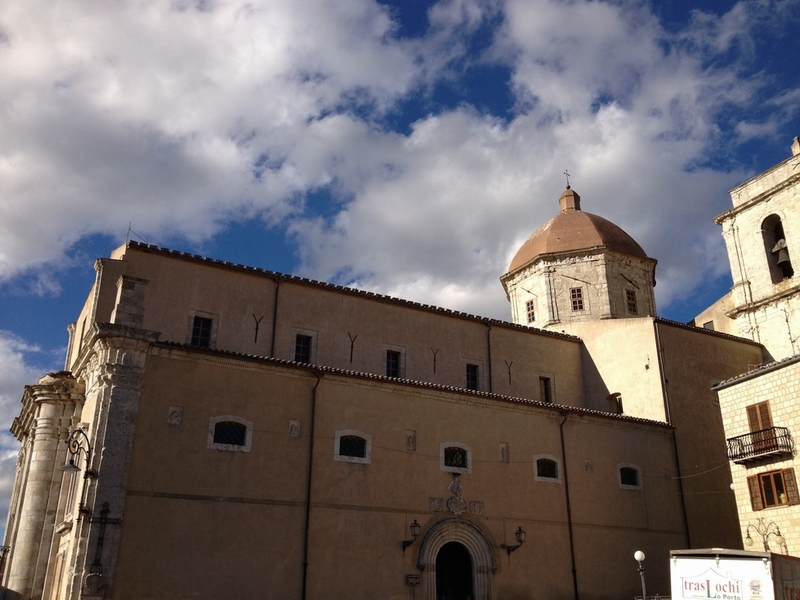 The main church of Petralia Sottana, commonly referred to as "Madrice", probably existed as early as the ninth century. 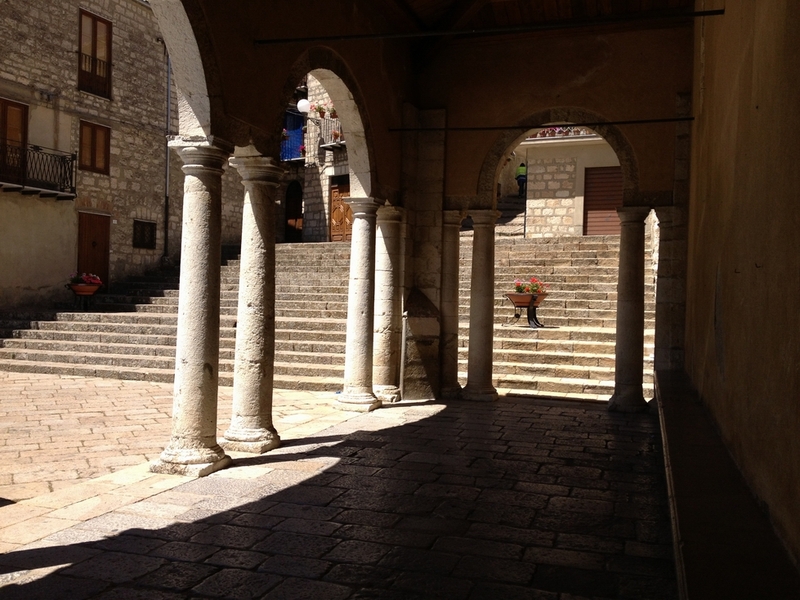 Inside there are three naves separated by monolithic stone columns coming from the Balza San Eleutorio. 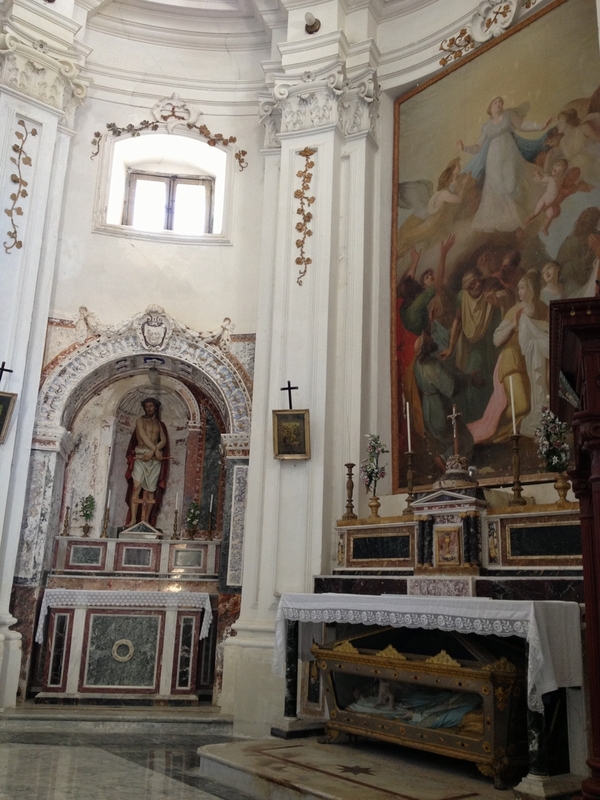 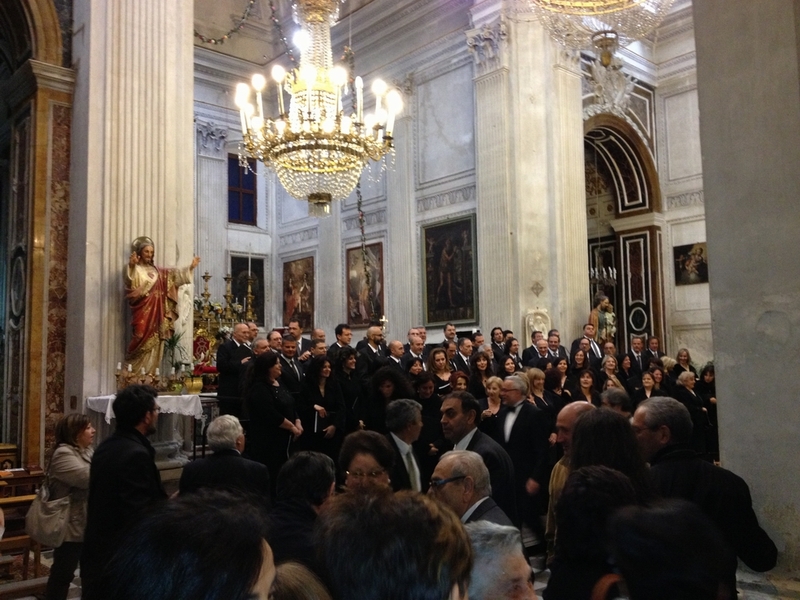 There are canvases by Giuseppe Salerno and, in a chapel to the right of the altar, a moving Nativity scene by Antonello Gagini. 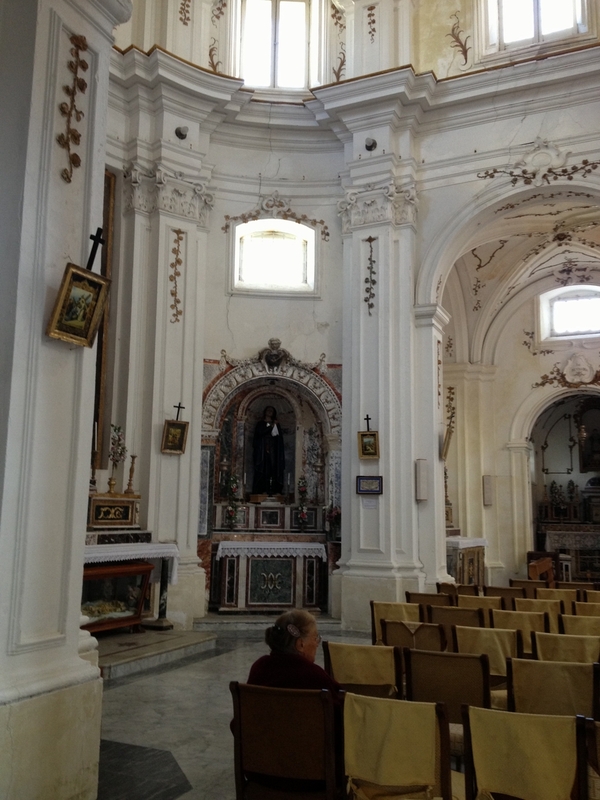 together with the adjacent bell tower in white stone with a pointed arch underpass. 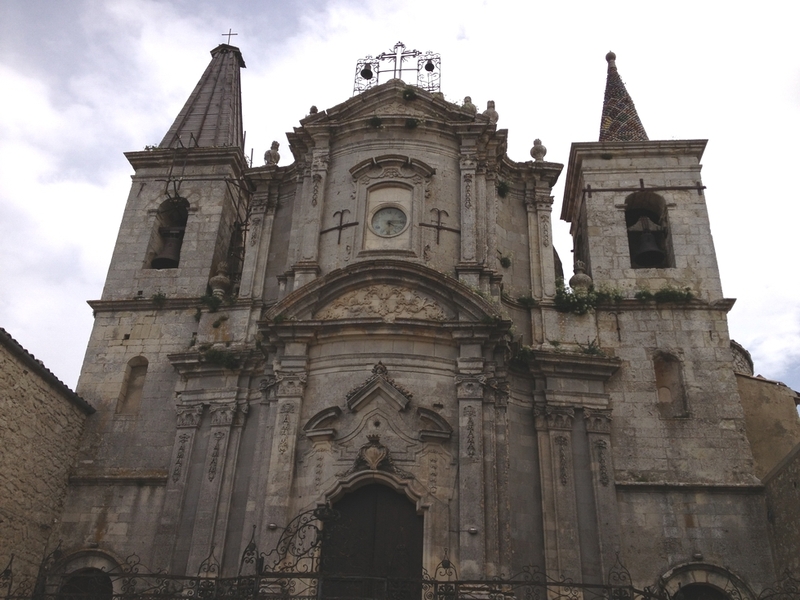 the work of Brother Umile da Petralia and numerous statues and paintings of a time span ranging from the seventeenth to the nineteenth century. 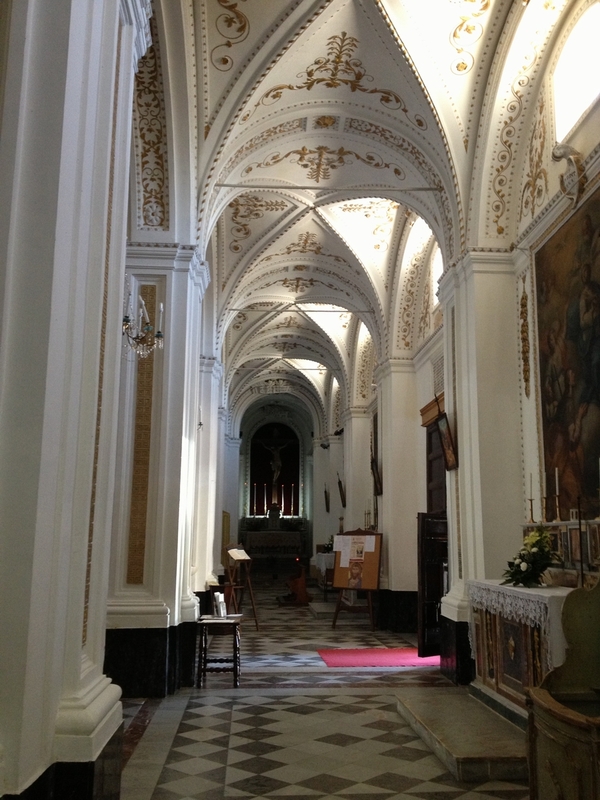 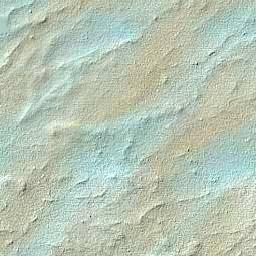 and an interesting and ancient archive, recently reorganized and made available. 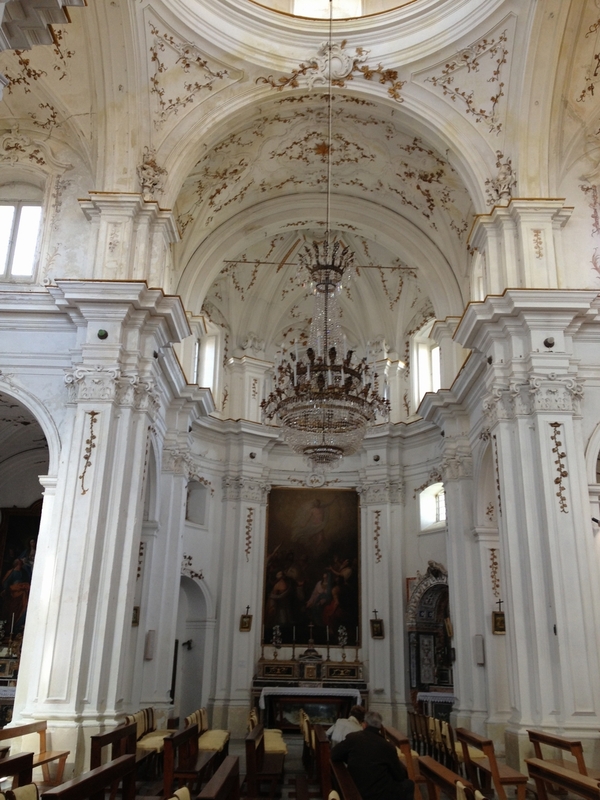 It also saw other transformations and expansions at the beginning of 1700, when it was embellished with baroque stucco. 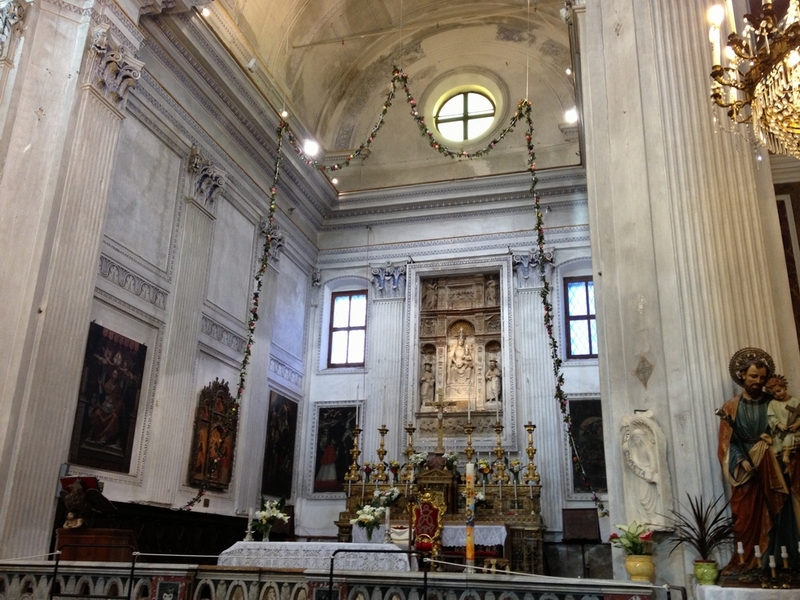 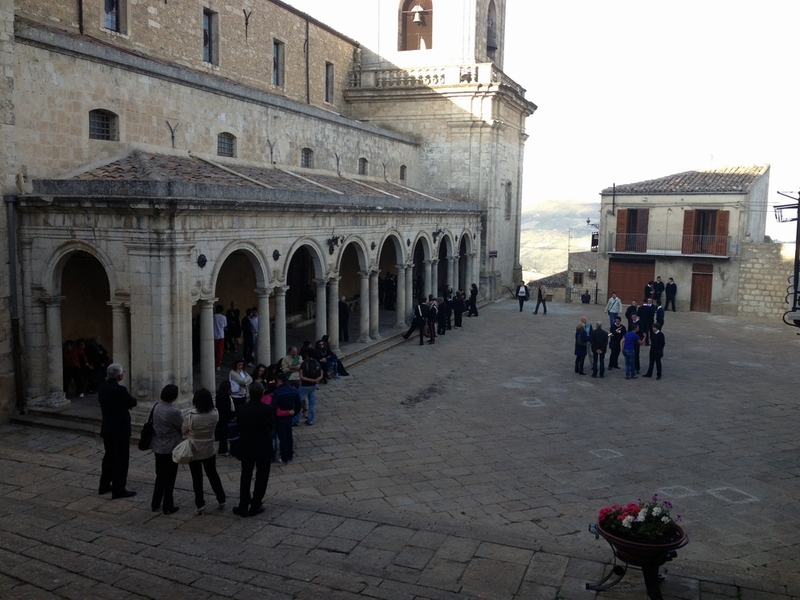 At the end of 1700. also was added, the front portal, the work of Serpotta, and the bell tower in the east. 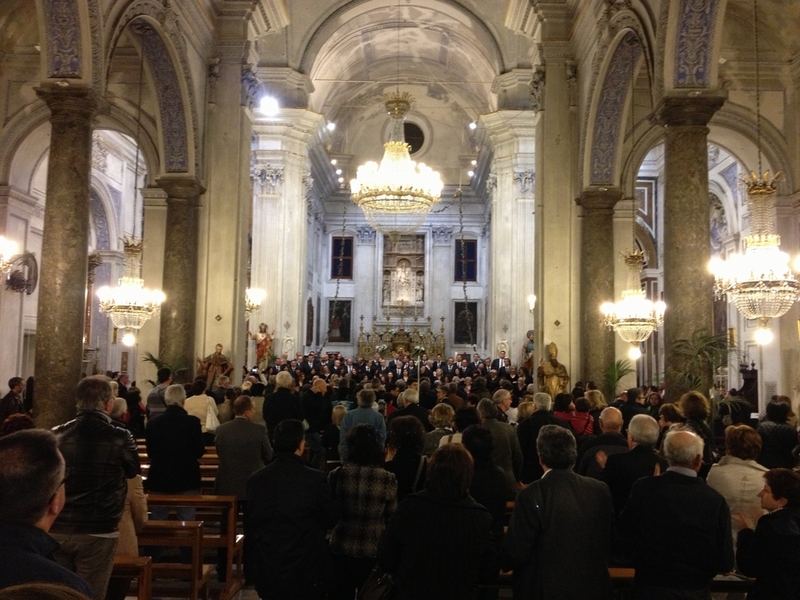 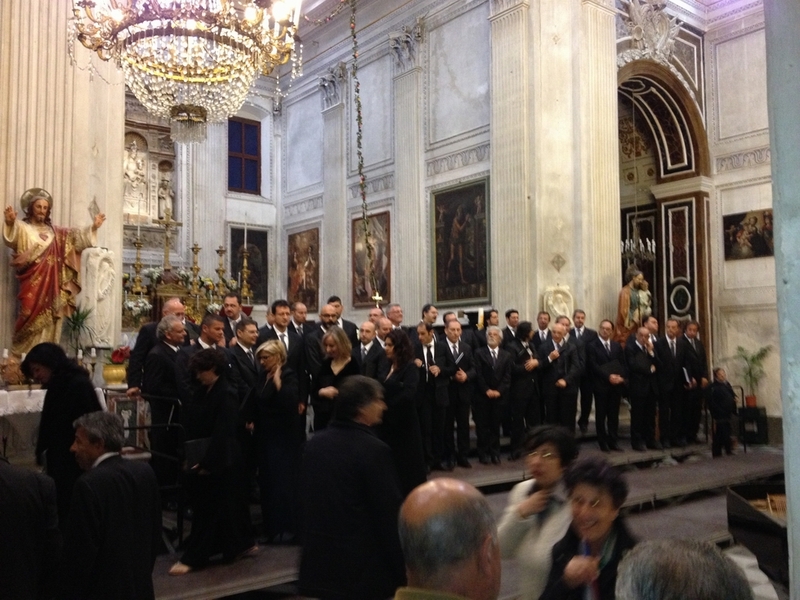 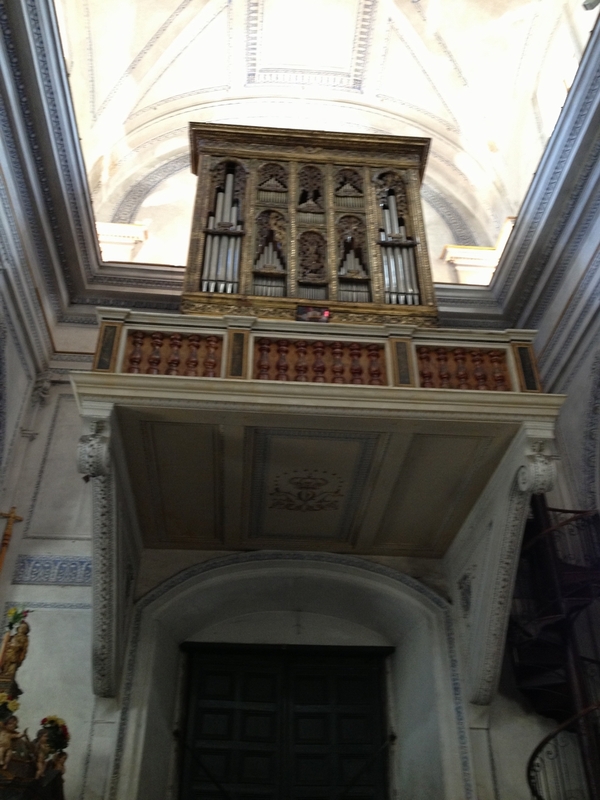 Inside we can admire the largest organ in the area, dating back to 1780, and the work of Giacomo Andronicus. 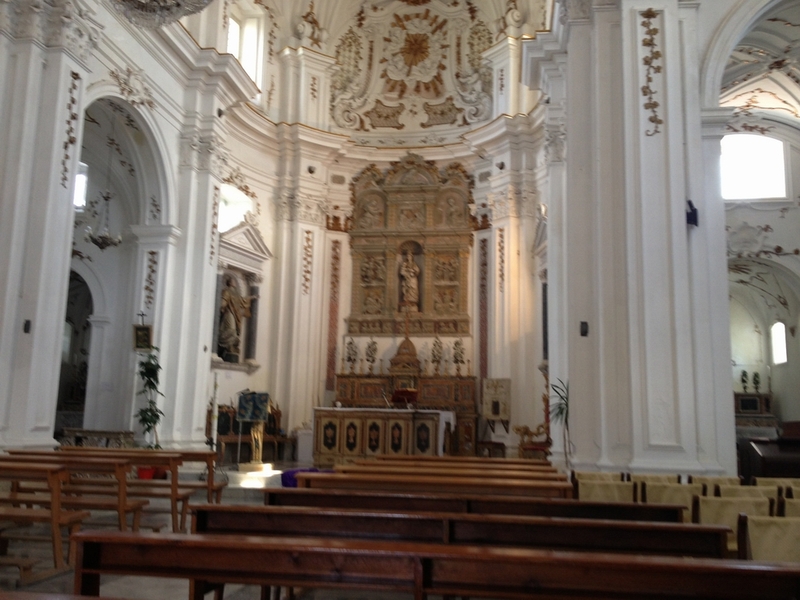 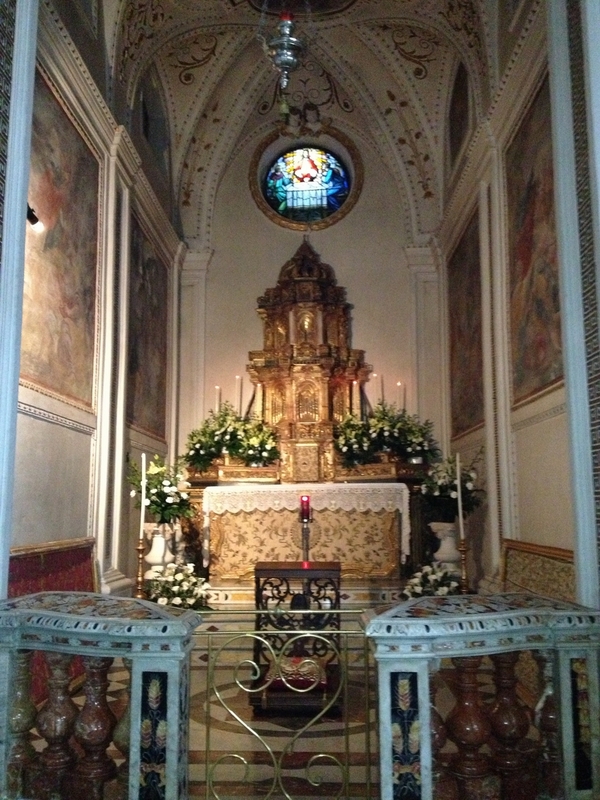 The Church has works created by Zoppo di Gangi, Gaspare Bazzano: Our Lady of the Angels with St. Clare, Francis, Anthony and Peter of Alcantara in 1620.